Democratic Gov.-elect Tom Wolf announced Monday that he would make former Oregon Insurance Division head Teresa Miller the leader of the Pennsylvania Insurance Department. Miller is a health care attorney at Crowell & Moring. She would succeed Insurance Commissioner Michael F. Consedine, who had been an insurance attorney at Saul Ewing LLP. Before she gets the job, she must be confirmed by the Pennsylvania Senate. Miller has also assisted the Centers for Medicare and Medicaid Services with the Affordable Care Act health care law and been acting director for several segments within that agency. 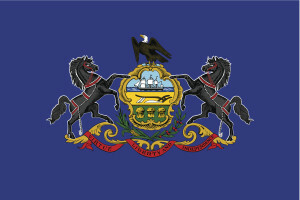 The Pennsylvania insurance market is the fifth largest in premiums for the country, according to the state insurance agency. It’s 14th largest in the world. Miler’s background is health insurance, so it’s be unclear how the Pennslyvania agency would handle auto insurance issues under her. This 2009 article on the Oregonian’s Oregon Live offers a little insight into her — she enjoyed target shooting with a .45!– and her work in that state.